NIRF Ranking List 2018: NIRF, i.e. National Institutional Ranking Framework, has prepared the third edition of India Ranking 2018 for colleges across the country. On Tuesday, HRD Minister Prakash Javadekar released NIRF Ranking 2018 in a program. Top colleges from across the country in this list. The names of universities, engineering colleges, law colleges, medical colleges, and management colleges are named. 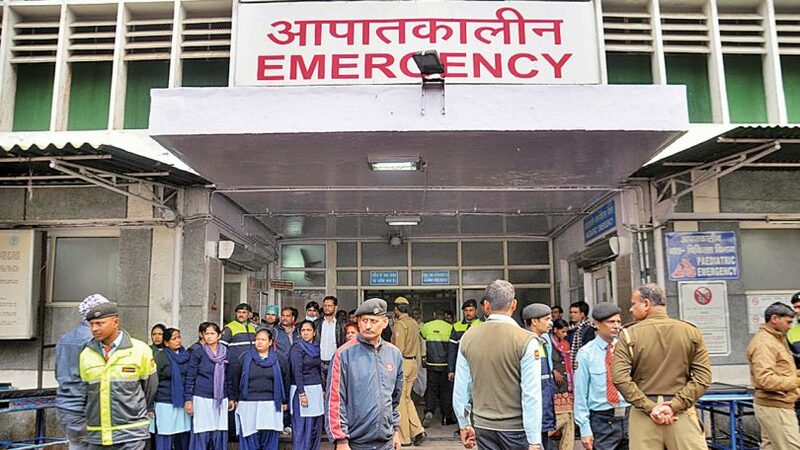 Talking about medical colleges, this year, the All India Institute of Medical Sciences is the first in the list of Delhi Medical Colleges, whereas Chandigarh’s Post-Graduate Institute of Medical Education and Research is second and Christian Medical College at Vellore is at number three. NIRF has released a list of the top 25 medical colleges. The National Institutional Ranking Framework for Students and Girls, which is looking for the right floor after getting the Intermediate examination, is helpful. The National Institutional Ranking Framework, which was started in September 2015, was first released its first list on April 4, 2016. Every year, NIRF issues the list of colleges and universities, assesses colleges based on their concept, education-learning resources, under-graduate results, research and business processes, and access and inclusiveness. In this year’s list of this year, Miranda House of Delhi University is at number one in the Top 100 Universities of Indian Institute of Science and Bangalore in the top 100 colleges.